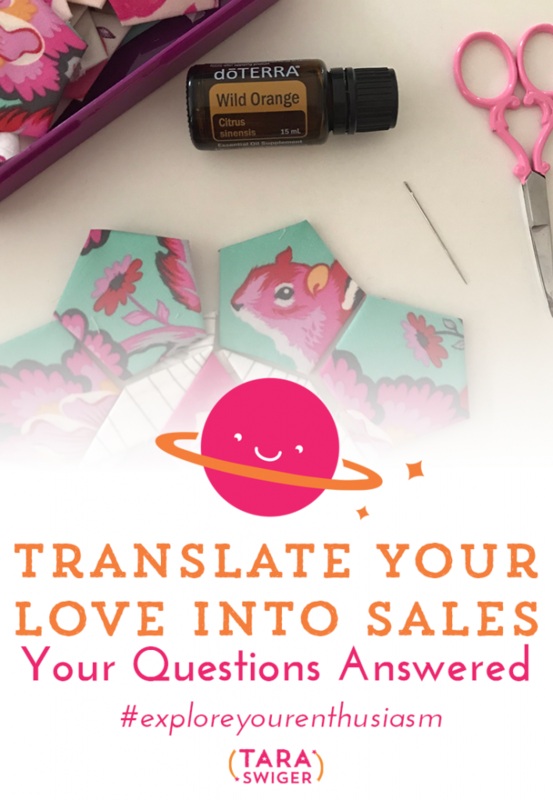 How do you translate passion into sales? Today I’m answering a question from an Instagram friend! Sales don’t just happen, sales are a result of clear communication. Sales happen because the person who wants what you sell, clearly understands (because you communicated it) what is special about your work and how it will serve her needs. Remember, there are a bunch of needs: need for self-expression, need for belonging. How do you clearly communicate? First, understand that this is a lifelong process. You are going to get better and better at each of these steps with time, the main thing is to start working at it now, and keep paying attention as you go. This takes time and thought the first time you do it, which is why I’ve put this in classes, so you can dedicate a few weeks to figuring this out. Talk only to her – in your Instagram posts, in your shop descriptions, in whatever you do. The Starship will open next month, you can be the first to hear about it, at taraswgier.com/starshipbiz. 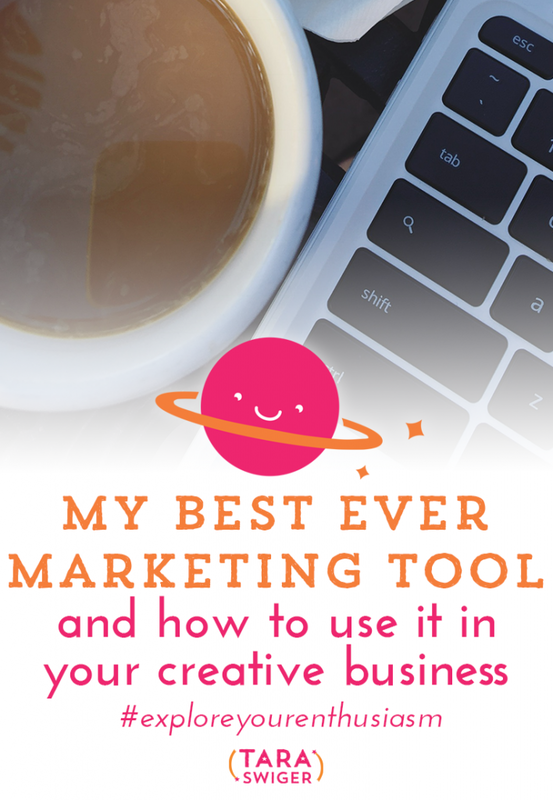 In the meantime, you can work through some of these questions in my book, Market Yourself, and since I saw you had a Etsy shop, Ida, check out my video on three things to fix in your Etsy shop. 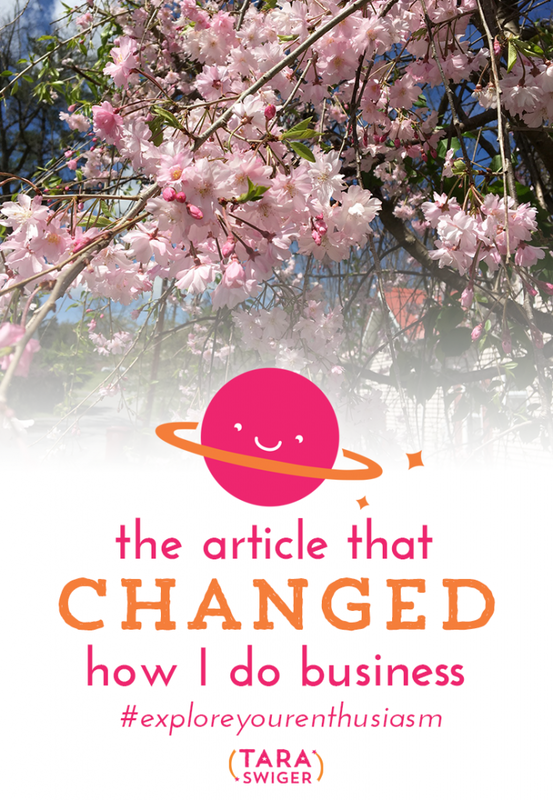 In April of 2014, I completely changed my business, because I made one small, spur-of the moment decision to follow my enthusiasm. It took me less than a week to kick-off what would become my best-ever tool for reaching new right people, building trust and loyalty, and increasing my sales at least 50% every year since. I started this podcast. And I've seen podcasts do the same thing in makers’ and artists’ businesses. Listening to an #ExploreYourEnthusiasm ep on how it's @TaraSwiger's best marketing tool! 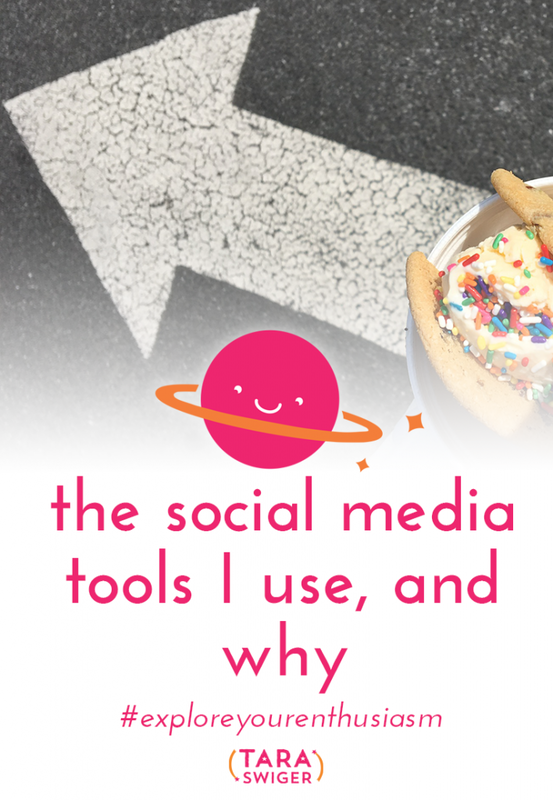 Why and how do I share so much content on so many different channels? 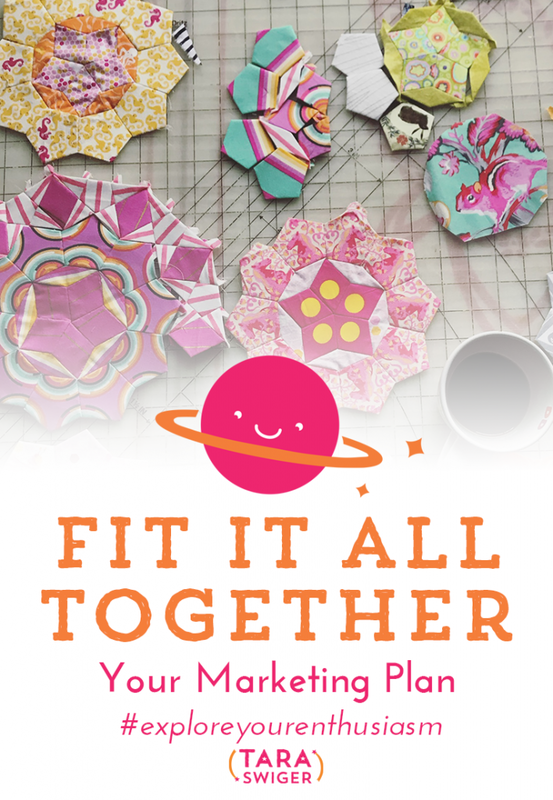 Today I'm answering your question about my own marketing plan. Listening to @TaraSwiger talk all about her multi-platform marketing plan on #exploreyourenthusiasm! 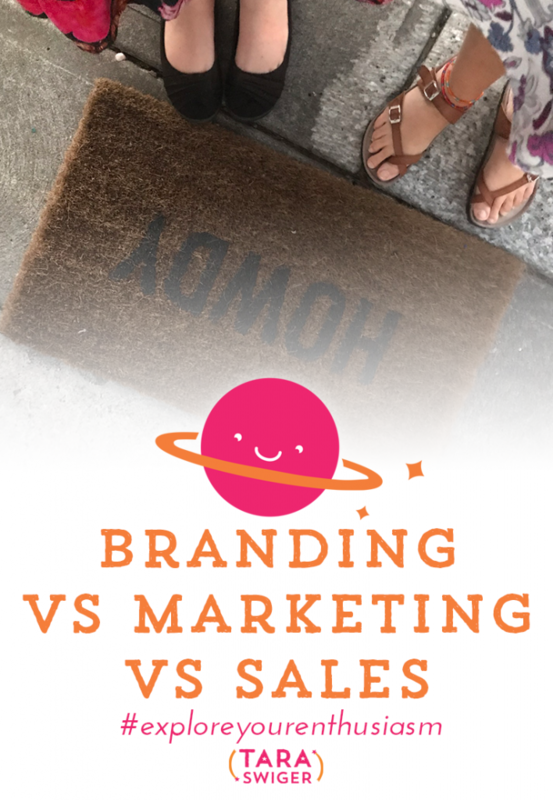 There is one thing that so many people get wrong about marketing, and it drives me crazy. 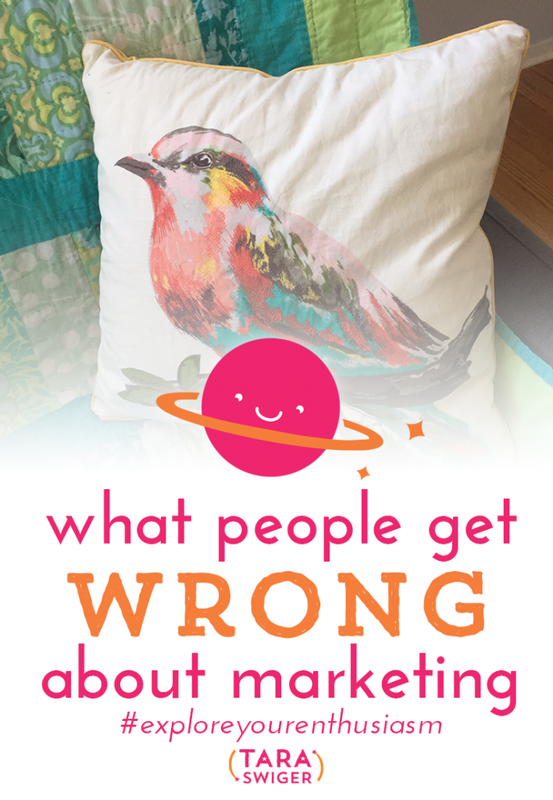 Today we're going to talk about what people get wrong and how YOU can get it right, to ensure everything you're doing in your marketing and on social is effective. Marketing isn't about the TOOLS (IG, Twitter, etc), it's about the PEOPLE. Wanna work on finding and serving YOUR Right People?To market your work in a way that's both authentic and effective? 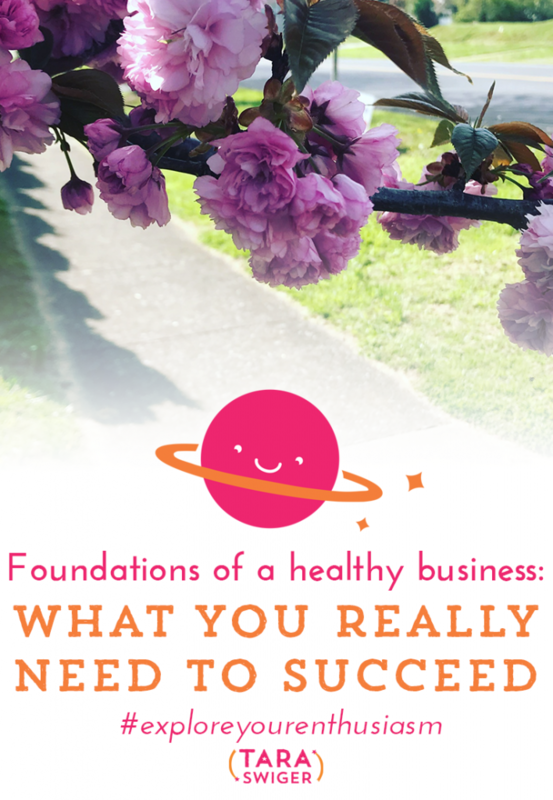 Join us in for my newest class, Elevate Your Business! To share your work with the world, you have to write (or speak) hundreds of messages: Instagram, product descriptions, emails, etc. How do you make them each effective? How do you make sure that what you spend your time writing and sharing actually sells your work? 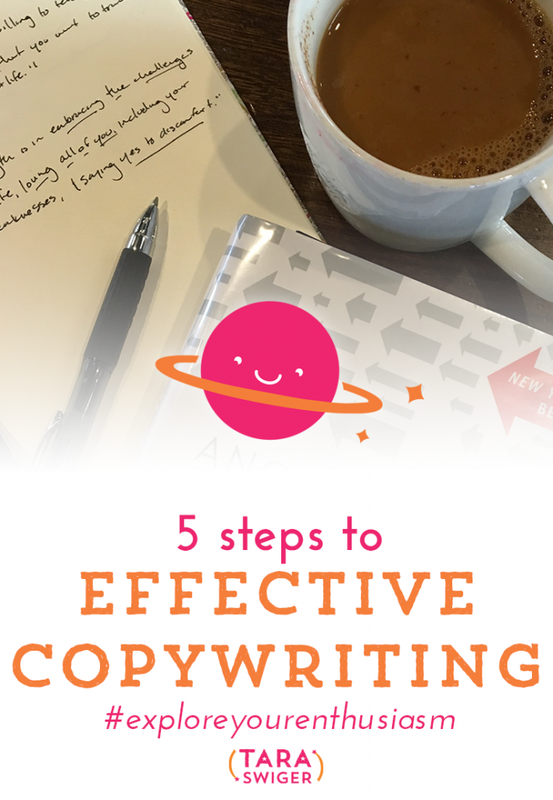 This week we’re talking about effective copywriting – writing words, pages, and posts that will connect with your buyer, build your relationships, and sell your work. 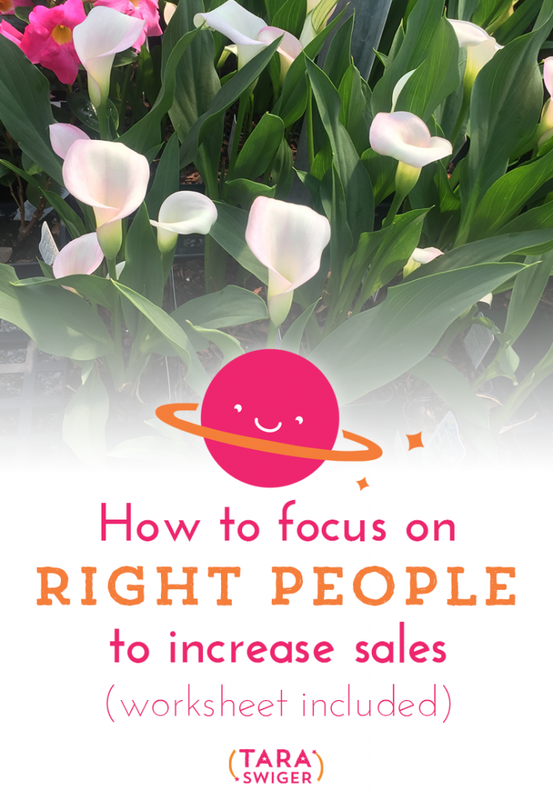 Get more buyers by focusing on the RIGHT people. This is the heart of effective marketing – speak directly to the person who is going to love (and want) what you sell. Remember, you’re not trying to convince anyone, you’re giving (compelling!) info to interested people. But how do you figure out who that person is? Are you limiting yourself by just focusing in on one set of Right People? And how do you find out where they are? How to find the people + be where they are. Want to focus on YOUR Right People? Apply what you learned in today’s episode with a free worksheet (and today's transcript! ).Grab it here.